The United States along with its allies will continue to counter all Russian subversive activities and destabilization. 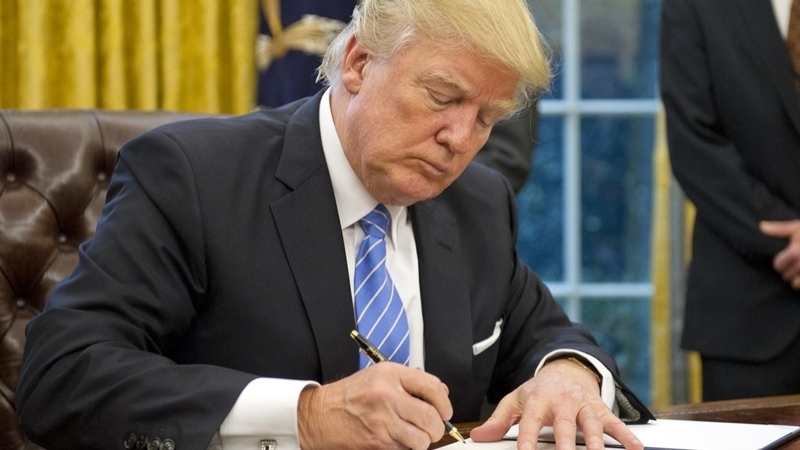 US President Donald Trump signed a law on sanctions against Russia, North Korea and Iran. The White House officially confirmed the signing of the law on August 2. At the same time, Trump claims that this document contains serious shortcomings. Trump recalled that he had expressed his concerns to the Congress about the way this law encroaches on Executive power, affecting American companies and the interests of European allies of the United States. He went on saying that his administration had attempted to work with the Congress on improving the law. However, the law is seriously flawed, in particular, because it encroaches on the executive branch’s authority to negotiate. Moreover, according to the document, Washington supports official Kyiv in restoring sovereignty and territorial integrity, condemns and opposes the Kremlin's attempts to destabilize the situation in Ukraine, does not recognize the annexation of the Crimea and continues to oppose the North Stream 2 project. Earlier, Moscow reacted to sanctions by reducing the number of American diplomats in Russia and blocking access to warehouse premises in Moscow as well as to summer residence in Serebryany Bor. Ukrainian President Petro Poroshenko praised the signing of the Law on sanctions by Trump. “Congratulations with the signing of a new package of sanctions by the US against Russia! As we agreed in Washington, the Congress adopted the bill and President Donald Trump signed it into law. The sanctions also cover the politically motivated project "Nord Stream 2". Earlier, QHA reported that in the evening of July 27, the Upper Chamber of the US Congress voted overwhelmingly for an updated package of restrictive penalties in relation to Russia, Iran and North Korea. Sanctions against Moscow were introduced over the annexation of the Crimea, as well as hacker attacks to influence the presidential election in the United States.